If you have an Xbox One and play both Halo: Spartan Assault and Forza Motorsport 5, there is a special gift waiting just for you. In December, 343 Industries and Turn 10 partnered to make a special Forza 5 vehicle, a 1969 Ford Mustang Boss 302 with a unique Halo: Spartan Assault theme. It was given to Forza 5 VIP members. Today, 343 Industries announced that some of its fans will be able to get the vehicle, as well. 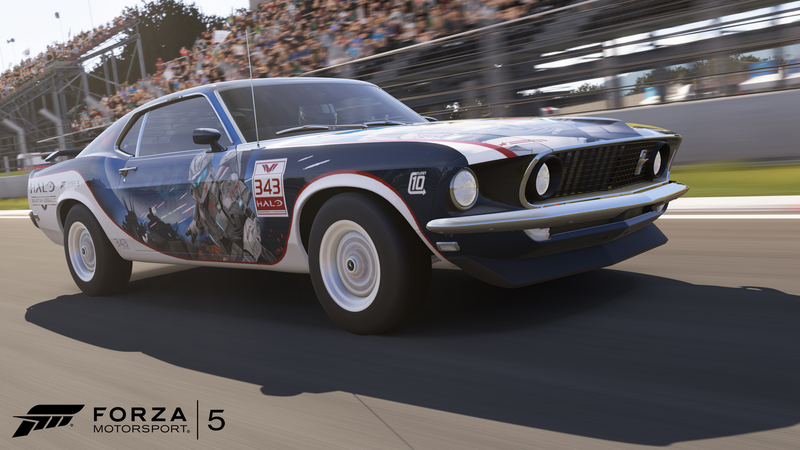 If you had Halo: Spartan Assault on your account before February 14, you can have the Halo Mustang for Forza 5. Just go to Forza 5’s “Message Center,” go to “Gifts,” and accept the download. It will go to your Forza 5 garage with the rest of your cars. This is a cool little gift for fans of the two series. If you’re one of the lucky players who has both games, enjoy your new car!